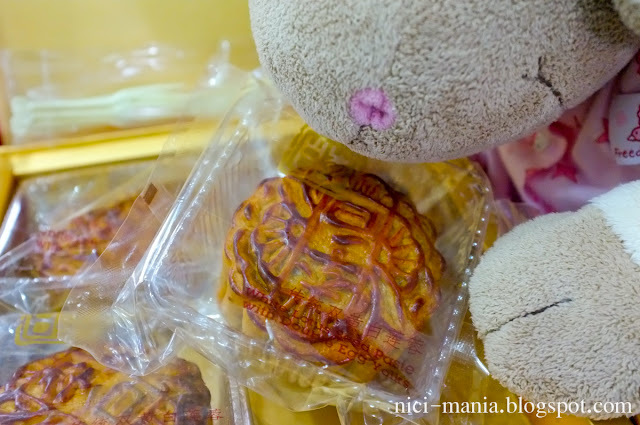 Today is Mid-Autumn Festival 2012! Also called the Mooncake Festival, this year we are filled with mooncakes and Jolly Rosa is very excited to check out what we have! Mooncakes always come in uniquely designed boxes, each with their own special design to stand out from the crowd. 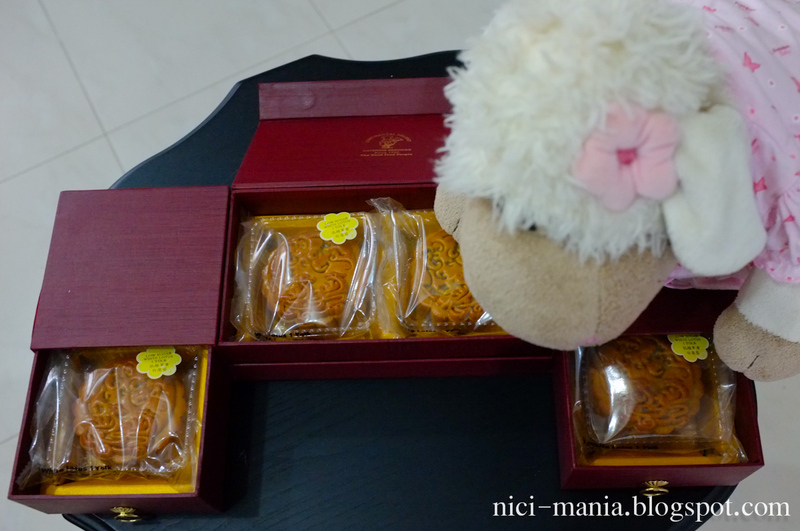 This is a double storey mooncake box from Ritz Carlton. 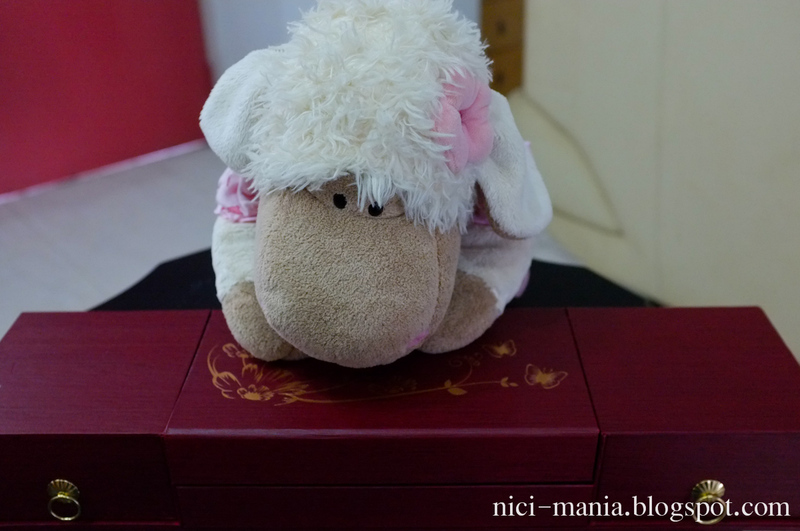 Next, Jolly Rosa checks out a long mooncake box, something different from the usual square box. The box opens at both sides and on top. These mooncakes are from Continental Catering. 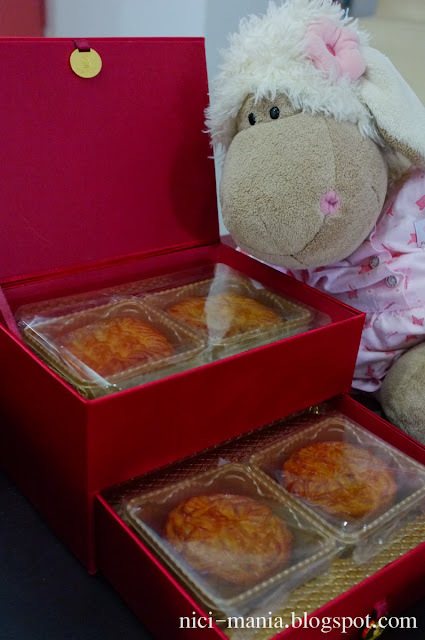 Double Yolk mooncakes from Tien Court. Jolly Rosa spots something slight different, from Teochew City Seafood Restaurant..
Its Teochew yam paste mooncakes with single egg yolk. Jolly Rosa! 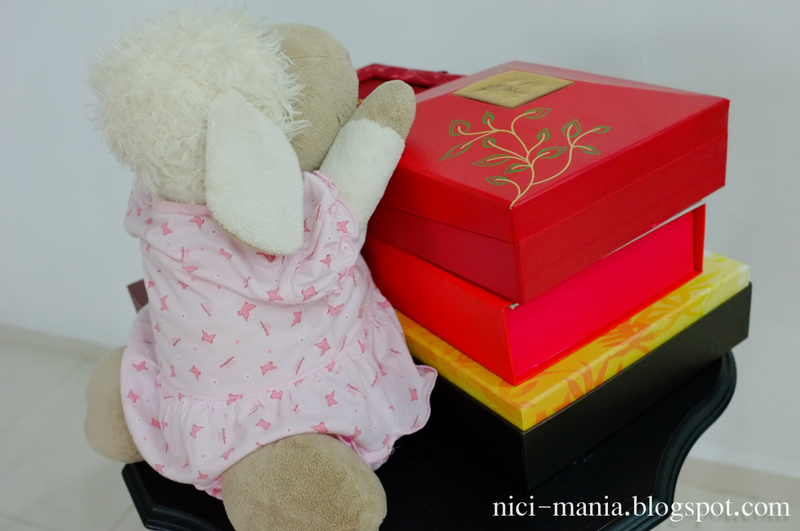 How can you finish all 5 boxes of mooncakes? Let's cut the mooncakes into small pieces and share with everyone! Jolly Rosa wishing everyone Happy Mid-Autumn Festival 2012! 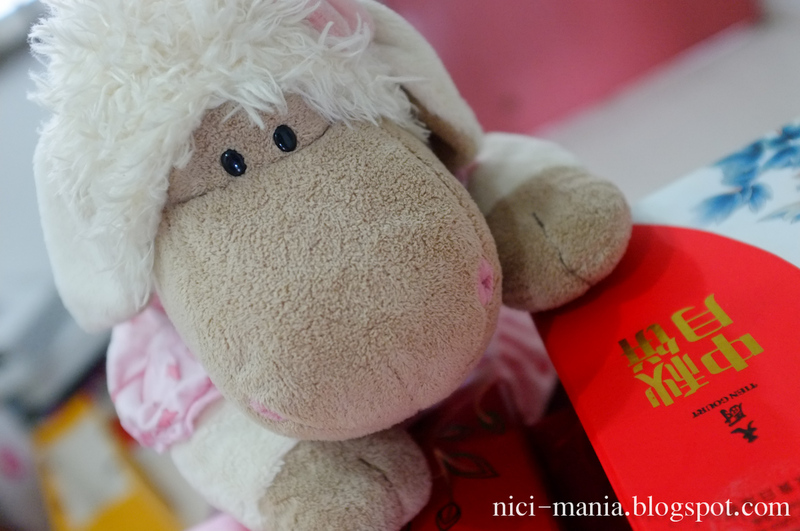 Enjoy your mooncakes! 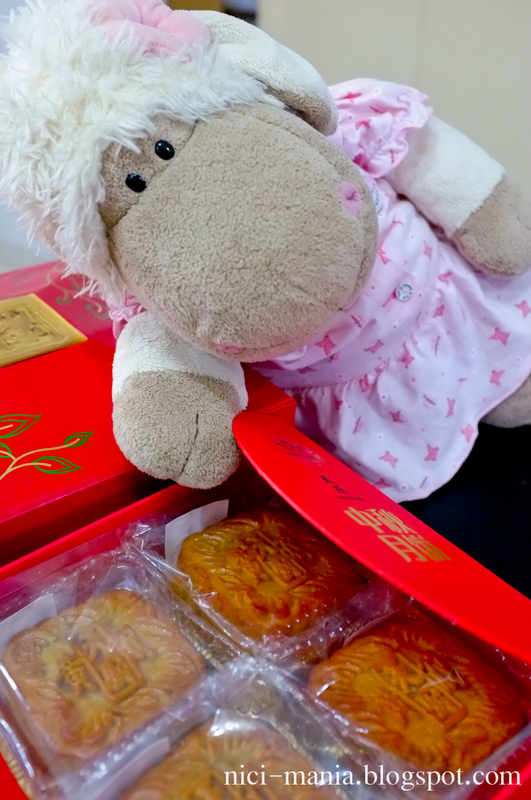 Those moon cakes look yummy! Rosa's so cute!! Where did rosa get her dress? My Rosas are envious. It is indeed typical of her to take all 5 boxes for her own! 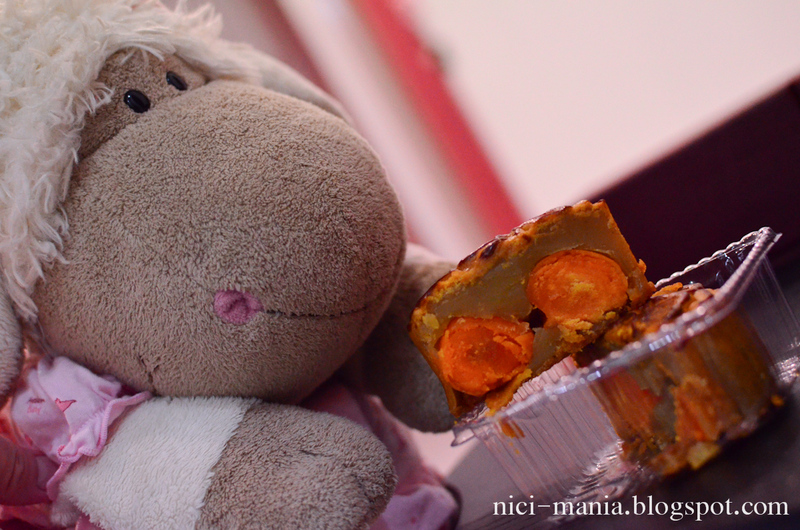 I had mooncake last year and I can clearly see why Rosa wants them all =).